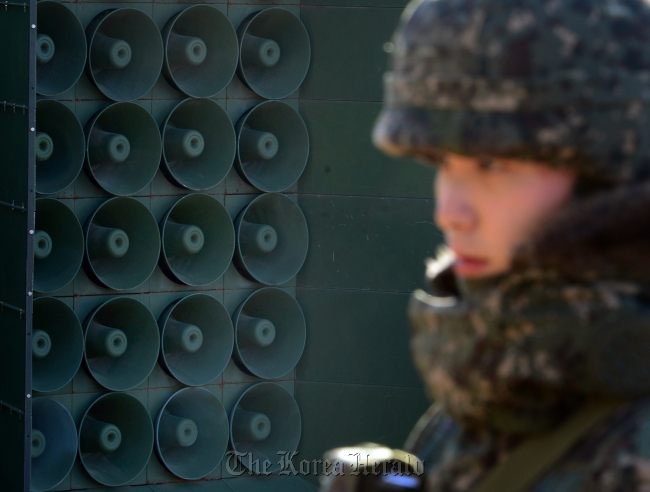 YEONCHEON/SEOUL ― Tension prevailed across the Demilitarized Zone after South Korea reactivated sets of loudspeakers for anti-Pyongyang broadcasts on Friday in a first punitive step against the North’s fourth nuclear test two days ago. Unfolding at 11 locations along the heavily fortified frontier, the broadcasts provide a rare source of outside news and music for North Korean frontline troops and residents of border towns in the reclusive society. It has four main themes, each aimed at promoting freedom and democracy, illustrating the South’s political and economic ascent, recovering national homogeneity and revealing the reality of the regime, according to Seoul’s Defense Ministry. Cheong Wa Dae announced the restart of the program late Thursday in an apparent display of Seoul’s resolve for stern reaction to the Kim Jong-un regime’s unchecked brinkmanship. 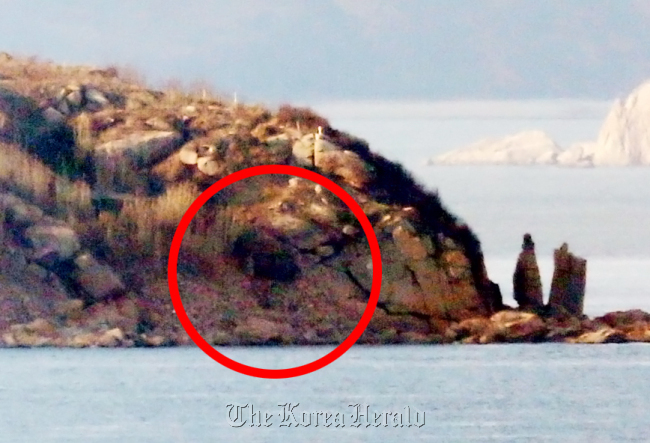 It had been idle since a 15-day airing that ended on Aug. 25 with an inter-Korean agreement over Pyongyang’s land mine attack. For the reopening, the military upgraded the content to criticize the recent atomic test, while adding latest hit tunes such as Lee Ae-ran’s viral “A Centennial Life,” GFriend’s “Me Gustas Tu,” Apink’s “Let Us Just Love” and Big Bang’s “Bang Bang Bang.” In a radio drama aired around 6 p.m., a top aide of Kim’s deceased father and late strongman Kim Jong-il sexually harrassed a married woman who then was shot to death by him while trying to protect her disputing husband. “We plan to air the show for two to six hours every day on an irregular basis but in a way that prevents any damage from a possible attack across from the border and minimize the residents’ inconvenience,” a military official told reporters, requesting anonymity due to the sensitivity of the matter. The apparatus is expected to evoke the rage of Pyongyang that deems it as a direct threat to the leadership. It also runs a similar propaganda broadcast program against the South, but had yet to switch it on again as of Friday evening. Many defectors who resettled in the South have testified that they had first come to know about the South and the outside world through the broadcasts, which can travel as far as 10 kilometers. This means that those walking down the streets of the North Korean border city of Gaeseong may hear the sounds seeping out of the speakers in Paju, Gyeonggi Province. Shortly after the South resumed the broadcasts last August in retaliation against the mine provocation, the North fired artillery shells near a loudspeaker erected in a western border town, declaring a “quasi-state of war” and forward-stationing offensive assets and troops in full combat readiness. To boost vigilance and better counter a possible strike, the South Korean military has moved forward some artilleries and other gear and elevated its readiness posture and Information Condition levels by one notch, though the Watch Condition remains intact. “The North appears to have also been deploying more frontline troops and strengthening monitoring,” a Defense Ministry official told reporters on customary condition of anonymity. On the diplomatic front, Seoul is stepping up diplomatic efforts with Washington, Beijing, Tokyo and other world powers as they are working on levying new sanctions against Pyongyang bilaterally and at the U.N. Security Council. 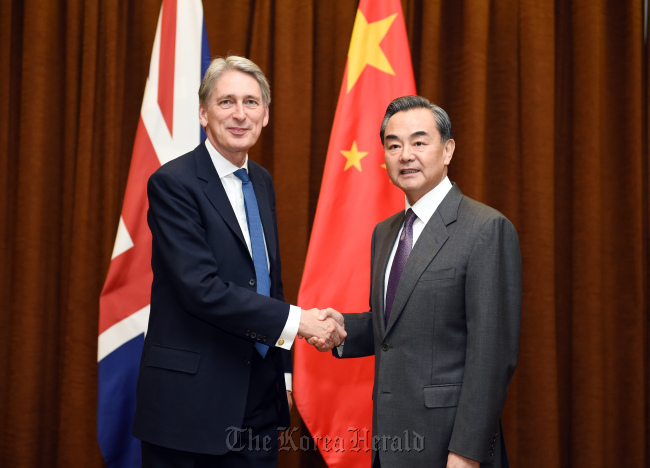 Foreign Minister Yun Byung-se sought to rally China’s support from Chinese Foreign Minister Wang Yi during their phone conversation later day. Hwang Joon-kook, the South’s top nuclear negotiator, also spoke with his counterpart Wu Dawei on the phone. In a separate phone call, Defense Minister Han Min-koo discussed ways to boost cooperation with his Japanese counterpart Gen Nakatani. Beijing’s role is imperative in particular given its veto power at the council and influence over the recalcitrant regime as its top political and economic benefactor. Though it appears to have somewhat tightened the existing measures’ enforcement, it had been resistant to imposing much more powerful banking restrictions or “secondary boycott” steps, which call for penalties for third party companies and individuals engaged in transactions with the North. U.S. Secretary of State John Kerry also decried China’s shield and urged Wang to change course on Thursday. “Today in my conversation with the Chinese I made it clear: That has not worked, and we cannot continue business as usual,” he said after their phone talks, referring to China’s approach. Washington is writing a draft resolution to propose to the UNSC that would stifle North Korean trade and finance through a partial ban on its ships seeking to enter ports around the world and a cutoff of banking transactions similar to the ones previously levied against Iran, the New York Times reported. The House of the U.S. Congress, for its part, is expected to vote on legislation carrying new sanctions on North Korea as early as next week.